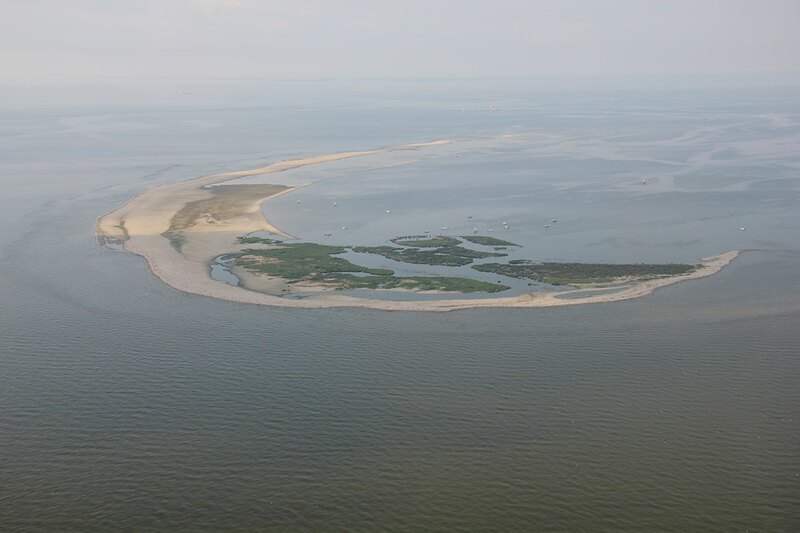 As part of the Barrier Island Monitoring Project, scientists from the U.S. Geological Survey (USGS) St. Petersburg Coastal and Marine Science Center conducted nearshore geophysical surveys off Breton and Gosier Islands, Louisiana, in July and August of 2014. To assist the United States Fish and Wildlife Service (USFWS) with restoration planning efforts, the USGS was tasked with answering fundamental questions about the physical environment of the southern Chandeleur Islands, including the geology, morphology, and oceanography. Baseline data needed to answer these questions were either insufficient or missing. The USGS conducted a comprehensive geologic investigation in the summer of 2014, collecting geophysical and sedimentological data. 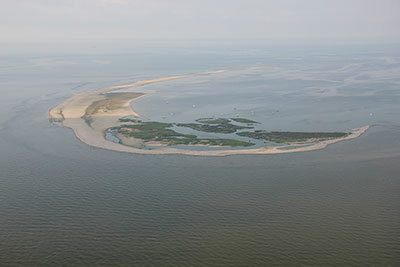 Breton Island, located at the southern end of the Chandeleur Island chain in southeastern Louisiana, was recognized as a natural, globally significant nesting sanctuary for several bird species and was established as the Breton National Wildlife Refuge (NWR) in 1904. The areal extent of Breton Island has diminished 90 percent since 1920. Land loss is attributed to ongoing relative sea-level rise, diminished sediment supply, and storm impacts. The bird population on Breton Island has also declined over the years, most notably after Hurricane George in 1998 and after Hurricane Katrina in 2015; the latter completely submerged the island. Despite decreasing habitable acreage, migratory seabirds continue to return and nest on Breton Island. To prevent the island from being submerged in the future, and to protect, stabilize, and provide more nesting and foraging areas for the bird population, the USFWS proposed a restoration effort to rebuild Breton Island to its pre-Katrina footprint. This data series serves as an archive of processed interferometric swath and single-beam bathymetry data, and side-scan sonar data, collected in the nearshore of Breton and Gosier Islands, NWR, Louisiana. The data were collected during two USGS cruises (USGS Field Activity Numbers 2014-314-FA and 2014-317-FA) in July and August 2014. Geographic information system data products include a 100-meter-cell-size interpolated bathymetry grid, trackline maps, and point data files. Additional files include error analysis maps, Field Activity Collection System logs, and formal Federal Geographic Data Committee metadata. NOTE: These data are scientific in nature and are not to be used for navigation. Any use of trade names is for descriptive purposes only and does not imply endorsement by the U.S. Government. Funding for this project was provided through the Department of the Interior Deepwater Horizon Natural Resource Damage Assessment and Early Restoration. The U.S. Fish and Wildlife Service for their collaboration and participation in this research. The captain and crew of the research vessel (R/V) Southern IV, Point Cadet Marina, Biloxi, Miss., for their support of the July research cruise. Noreen Buster and David Thompson of the U.S. Geological Survey for serving as peer reviewers for this data series. This publication was prepared by an agency of the United States Government. Although these data were processed successfully on a computer system at the U.S. Geological Survey, no warranty expressed or implied is made regarding the display or utility of the data on any other system, or for general or scientific purposes, nor shall the act of distribution imply any such warranty. The U.S. Geological Survey shall not be held liable for improper or incorrect use of the data described and (or) contained herein. Reference herein to any specific commercial product, process, or service by trade name, trademark, manufacturer, or otherwise does not constitute or imply its endorsement, recommendation, or favoring by the United States Government or any agency thereof.